Men and women have many false hopes in this world, one of which is that they can earn heaven by good works. Even though God’s law is a perfect law, it can never make a person fit for heaven because no one can keep the law perfectly. There is a better hope, however, and that hope is “the hope of salvation” (1 Thessalonians 5:8) “which is Christ in you, the hope of glory” (Colossians 1:27). This “hope that is in you” (1 Peter 3:15) is indeed a wonderful hope. In addition to the one in our text (“better”), there are three other adjectives in the New Testament relative to our Christian hope. First, it is called a “good hope.” “Now our Lord Jesus Christ himself, and God, even our Father . . . hath loved us, and hath given us everlasting consolation and good hope through grace” (2 Thessalonians 2:16). Next, it is a “blessed hope.” “Denying ungodliness and worldly lusts, we should live soberly, righteously, and godly, in this present world; Looking for that blessed hope, and the glorious appearing of the great God and our Saviour Jesus Christ” (Titus 2:12-13). Finally, it is a “lively [or living] hope.” “Blessed be the God and Father of our Lord Jesus Christ, which according to his abundant mercy hath begotten us again unto a lively hope by the resurrection of Jesus Christ from the dead” (1 Peter 1:3). 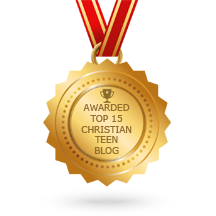 This entry was posted in A CLICK A BLESSING TODAY, CHRISTIAN NUGGETS and tagged The Better Hope. Bookmark the permalink.